About Faces is committed to providing the most indulgent, beneficial skin and body treatments and products. Our services will help enhance your natural, youthful and radiant skin. Our licensed skin care specialists will analyze your skin and recommend the best treatments and professional products to target your specific skin care needs to give you the best results. Personalized for any skin type and skin condition. Restores the balance of mind and body including wellness massage of the back and hands. Start early with proper skin care for a liftime healthy complexion. Customized for people on the go. Introduction to your daily skin care regimen. Treats oily, dry or acneic skin. Experience the amazing results derived from the Caudalie vineyards of Bordeaux France. Caudalie facials incorporate the all-natural ingredients resveratrol, polyphenols and viniferine to prolong the life of your skin cells and reduce dark spots while firming and hydrating to give you a radiant glow. A unique radiance treatment for the complexion. Specifically created for tired skin, this treatment restores radiance and vitality. Specially created for skin lacking vitality and firmness, this treatment incorporates Caudalie’s Vinexpert Resveratrol-based firming products. Advanced treatments that reduce signs of ageing and rejuvenate the overall condition of your skin. Formulated to deeply rehydrate, restore, lift and firm the skin for instant radiance and enhanced skin tone. An amazing non-invasive procedure with 5 peptides that reduce expression lines and wrinkles for measurable results. World renowned for reducing visible signs of aging and improving your overall skin condition. Revolutionary plant stem cells and Renovage® restore skin cells and repair DNA to revitalize and protect the skin. 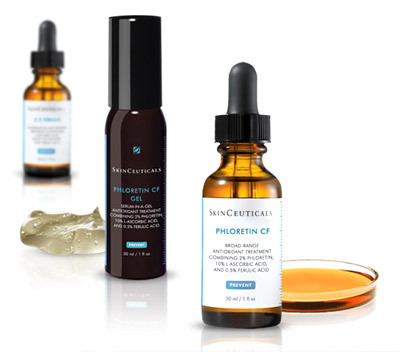 SkinCeuticals high-performance Facials and Peels provide immediate results for all skin types. These treatments use advanced skincare technology and antioxidants to restore firmness and radiance while also detoxifying to fight the signs of aging. This antioxidant facial helps to detoxify the skin as well as reduce damage from free radicals. The use of vitamin C leaves your skin looking refreshed for a youthful glow. The Skinceuticals Deep pore cleansing facial is a complete treatment that targets adult acne, congestion and breakouts. This treatment also brightens your complexion and minimizes pores. The brightening peel combines vitamin C with other naturally brightening ingredients, to reveal a healthy glow as it gently removes dull skin cells to create a more radiant complexion. This non-invasive peel is designed for people on the go. With no down time you can be in and out with glowing, radiant skin.